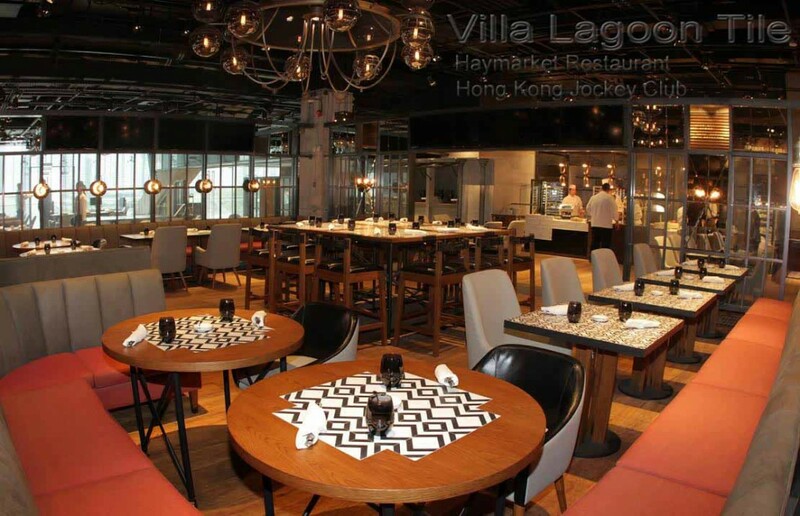 The historical Hong Kong Jockey Club chose Villa Lagoon Tile for the recently opened Hay Market Restaurant. 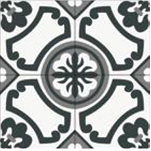 Both tables and floors in several parts of this large open-plan restaurant have our custom encaustic cement tiles. 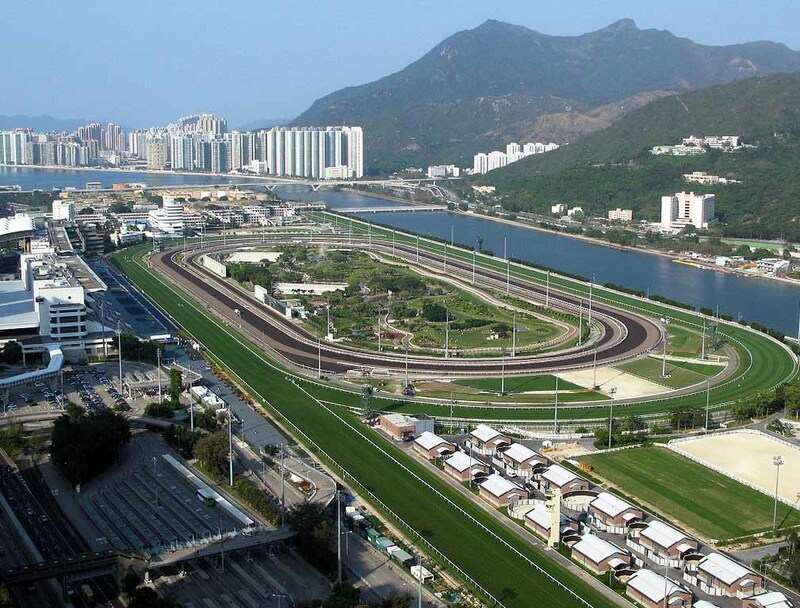 The Hong Kong Jockey Club founded in 1884 provides dining, social, sport and recreation facilities to its approximately 23,000 members. The HKJC conducts hundreds of horse races per year which can be viewed from the Hay Market Restaurant’s double-height floor to ceiling glass façade giving a view of the Sha Tin racecourse. 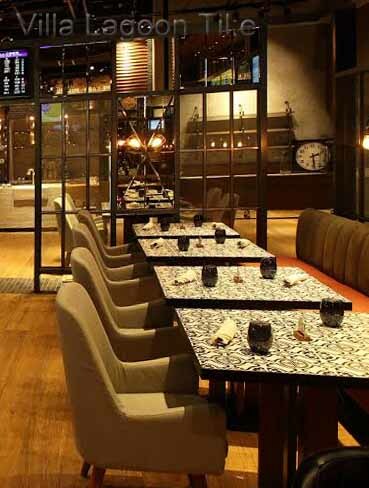 Designed by Joyce Wang, Hay Market Restaurant fuses English style with tasteful modernism to create an all-inclusive, open-minded venue that bustles with the dashing vibes of a lively English establishment. 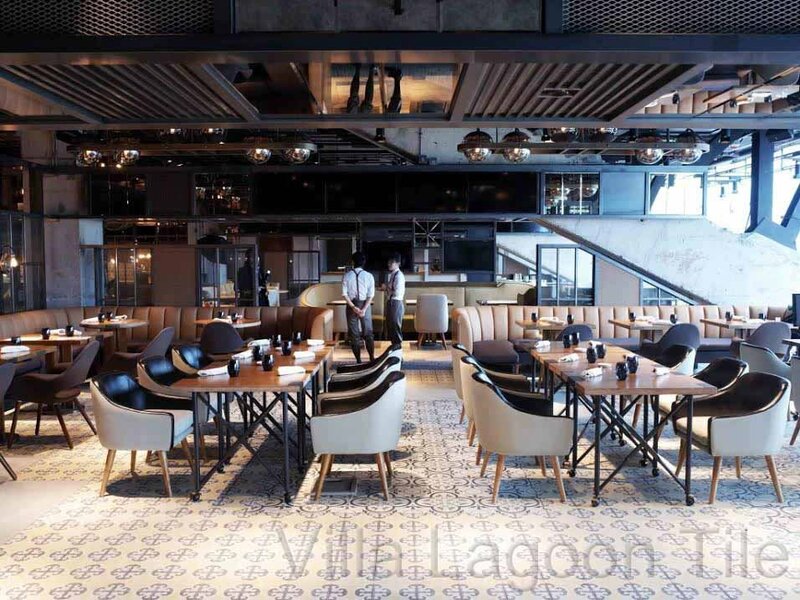 The large restaurant brings a taste of rustic England to Hong Kong’s Sha Tin Racecourse. 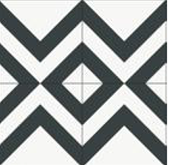 Wang made the fun choice to tile the tabletops at the Hay Market. We shipped the table tiles to the furniture manufacturer and the floor tiles went directly to the job-site in Hong Kong. 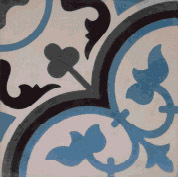 Most of the tiles have neutral colors and the sharp black and white patterns in the tabletops add an edge of modernism. 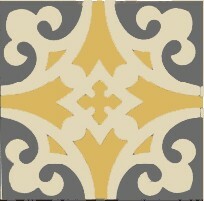 Let Villa Lagoon Tile make custom tile for your next restaurant project ! !